Hair and Makeup Overload: Happy Chinese New Year & some basic essentials for a makeup kit. Happy Chinese New Year & some basic essentials for a makeup kit. Back again, yet not much makeup related unfortunately. I had hardly any time to even do anything with makeup as of the past couple of weeks. 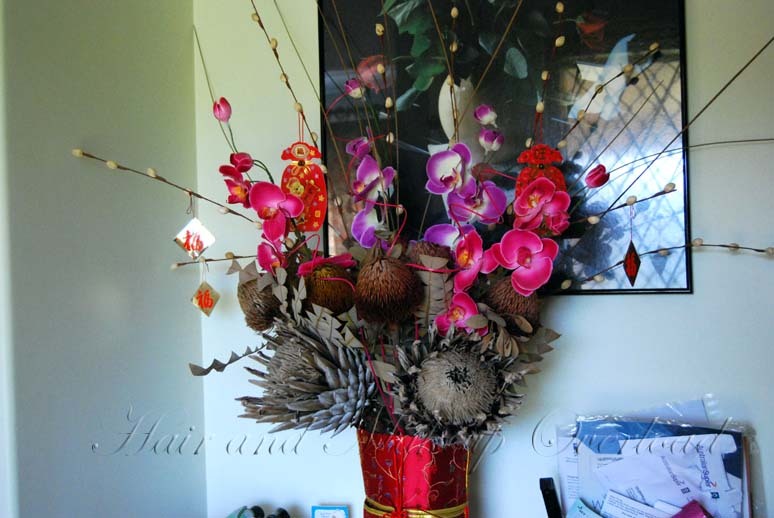 I just wanted to wish everyone a HAPPY CHINESE NEW YEAR! Hoep all is healthy and happy, may you have another wonderful year! I was doing spring cleaning before Chinese New Year and I found something so old I completely forgotten I had it. I ended up digging up an old clutch that I had bought and used for my school ball all the way back in year 12, so that would be year 2003? 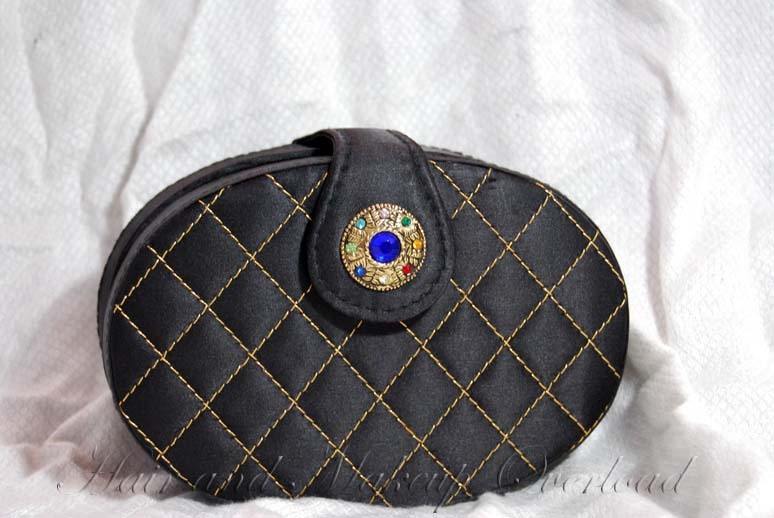 Nearly 10 years ago this clutch was used for the one night only and then put away and forgotten. I started using it again and even though it wasn't an expensive clutch I've fallen in love with it again. It's simple and light and easy to use. It fits a phone in it so that's just great considering phones get so big nowadays that small cluthes just aren't working well for me. I've also been wearing this pair of shoes a lot lately as well as my orange wedges that I had already posted about some time ago. They're kind of cute and definitely affordable. They're comfy and I think it's because it's made out of that rubbery plastic material. Cute little hearts that is 3D like? Now onto some makeup related stuff. I've have people asked me before what are some essentials that a makeup kit should contain when working as an artist. I'm not an extremely experienced makeup artist and I believe every artist will have their own preferences. 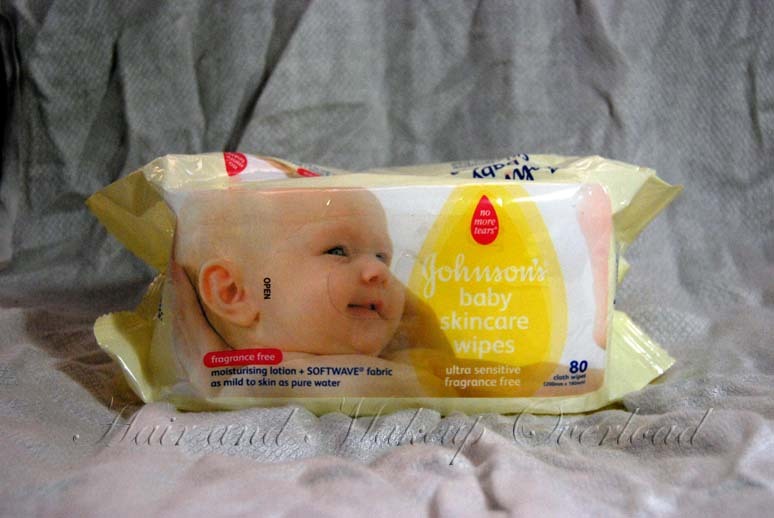 I use baby wipes and makeup wipes, they're gentle on the skin and definitely great for sensitive skin. I find them to remove makeup very well and are definitely cheaper than buying makeup wipes. I'm not a fan of scented wipes and babywipes like the ones I'm currently using doesn't have that over powering smell/scent that I find some makeup wipes have and can tend to irritate the skin sometime. Some other basics I keep are sunscreen, alcohol, brush cleanser, eye makeup remover, moisturiser (Cetaphil), hand sanitizer and Carmex. 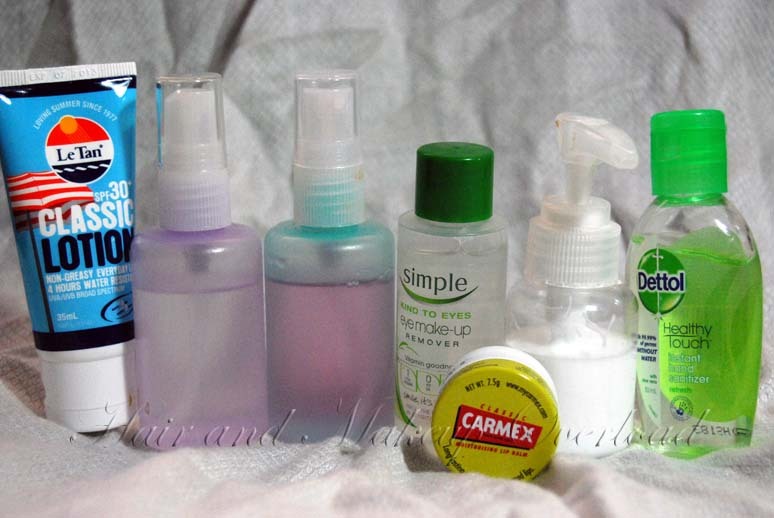 These essentials area always in my kit and never comes out or get exchanged. I also don't like carrying big bottles of products so I like to buy small tubes or transfer them to a smaller bottle for space saving and lighter weight when transporting my kit. Hopefully my next post will be on makeup or at least closer in relation to it. i CANNOT live without carmex.. i have one stashed EVERYWHERE.. in my nightstand, in my husbands pocket, in my purse, in the car glove compartment.. HAHA. i think i'm addicted.